15. Isabel (Aunt Betty) BESTEIRO GRACCIANI was born on 4 Jun 1896 in Madrid, Spain.94,95 Born in Plaza de la Cebada, 10. Full name: Isabel Cecilia Alejandra. She was baptized on 18 Jun 1896 in Madrid, Spain.95,96 Baptized at San Andrés. Padrinos: mis tios D. Ramón Fernández Ménguez y Dª Cecila Caballero y Fernández. She immigrated on 2 Apr 1907 to Havana, Cuba.23,61 She received first communion on 5 Jun 1910 in Havana, Cuba.97 She died on 6 Oct 1980 in Havana, Cuba.98 She was exhumed and placed in an ossuary on 20 Feb 1989 in Havana, Cuba29 She was also known as BESTEIRO GRACIANI. 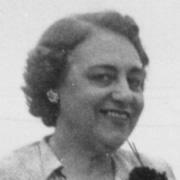 i. Isabel (Nena) GARCÍA BESTEIRO. ii. 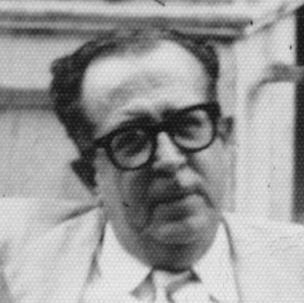 José de Jesús (Pepe) GARCÍA BESTEIRO.